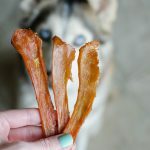 Homemade Chicken Jerky for Dogs – the easiest dog treat recipe! Thinly sliced chicken baked at a really low temperature until dehydrated. 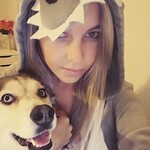 My dogs love this! Anyway, the other day I was at Petco looking at all the rodents and cats up for adoption and wandered over to the dog treats where they want 20 DOLLARS FOR A TINY BAG OF JERKY. I made giant batch for 8 bucks. And that was using organic air chilled chicken because I was feeling fancy that day. 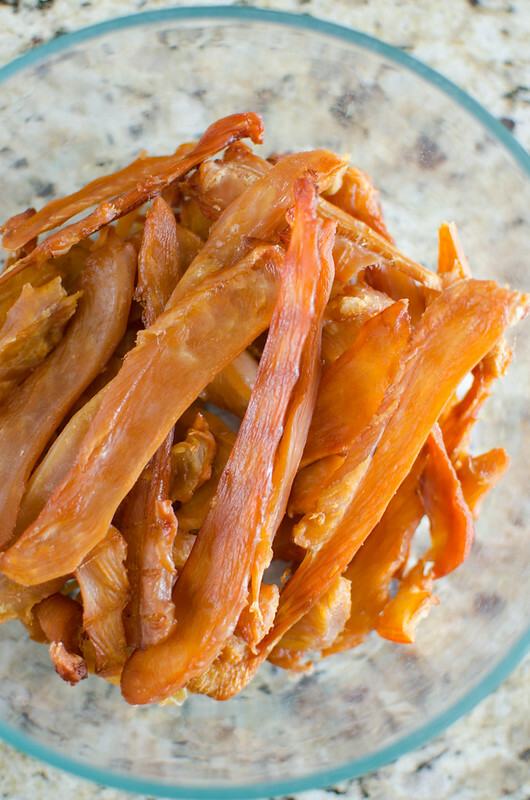 This is seriously the easiest homemade dog treat you will ever make. You just slice is really thin (pop it in the freezer for an hour or 2 beforehand to make slicing it easier) and bake it at a really low temperature for 2 hours. The chicken dehydrates and gets crispy and my dogs are obsessed with it. My 9 year old keeps asking to try them, too. I don’t know. Pumpkin Peanut Butter Dog Ice Cream – easy 4 ingredient dog ice cream. It’s made with yogurt and pumpkin which are both great for your pup’s digestive system. 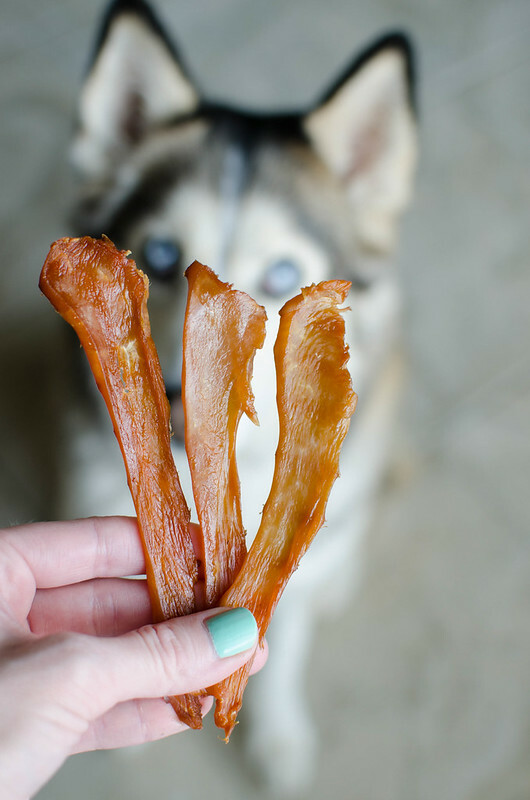 Homemade Dog Breath Fresheners – because your dog’s breath probably needs some help. It’s made with parsley and mint to naturally freshen their breath! Peanut Butter Pupcakes – I make these for all the puppy birthdays in my house. Dog-friendly peanut butter cupcakes with a peanut butter cream cheese frosting. Preheat oven to 275F. Place 2 wire cooling racks on baking sheets. Cut chicken into 1/4-inch slices and place on wire racks. Bake 2 hours, until chicken is dehydrated. Store in airtight container in refrigerator for up to 2 weeks.